It's not unusual to see IC theater majors make it big after graduation. 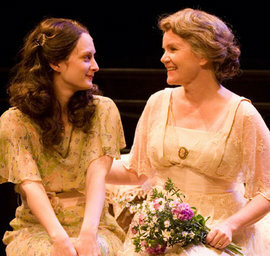 For example, Michele Federer '95 is now starring opposite Emmy Award-winner Mare Winningham in the stage production of The Glass Menagerie at the Old Globe Theatre in San Diego. Federer originated the role of Nessarose in the Broadway production of Wicked and appeared Off-Broadway in A Man of No Importance and Anon. Another IC graduate, Joe Calarco '92, directs The Glass Menagerie. Calarco's many directing credits include Lincolnesque, Shakespeare's R&J, Sarah, Plain and Tall, and Boy.